This comic is perfect. I don't make that claim lightly but it is. Everything about this book perfectly captures the essence of a good Doctor Who episode. In fact, I'd love to see this one adapted for the small-screen as the actual return of The Sea Devils from the classic series. 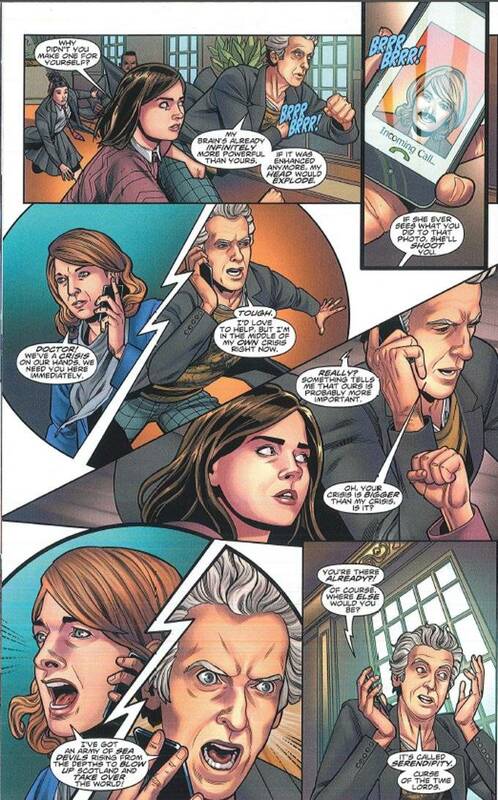 Robbie Morrison has got the verbal tics of The Twelfth Doctor and Clara Oswald down cold. Rachael Stott and Ivan Nunes bring everything to life artistically in a vivid and exciting fashion. 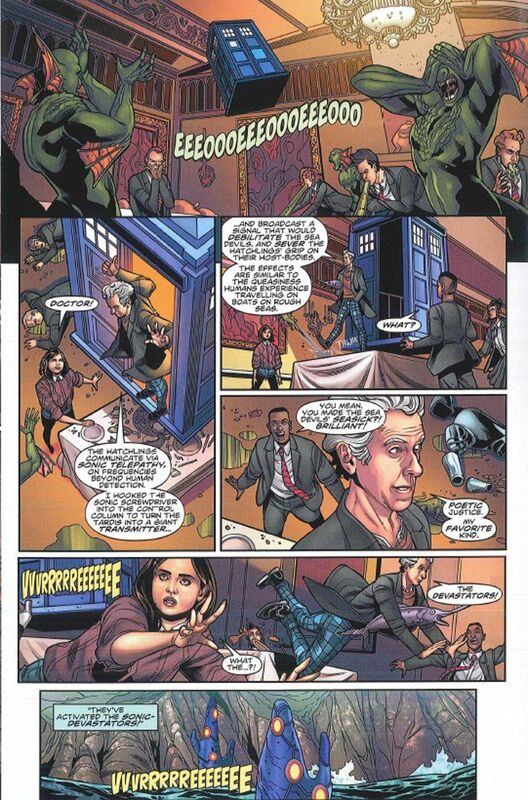 If you're any kind of Doctor Who fan, you should be reading this series.